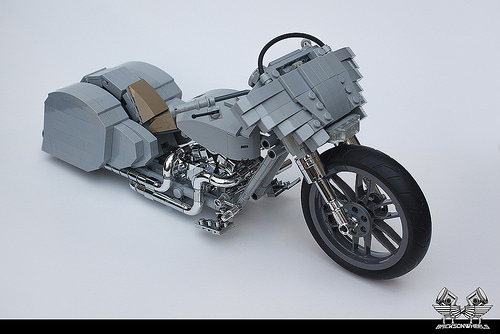 TLCB Master MOCer Dennis Glaasker (aka Bricksonwheels) is back with another incredible motorcycle. His latest is a custom Harley Davidson ‘Ratted’ Bagger, and it’s both wonderfully odd and beautiful all at the same time. You can see more of Dennis’ bike and his previous builds at his Flickr photostream – click here to join the ride.